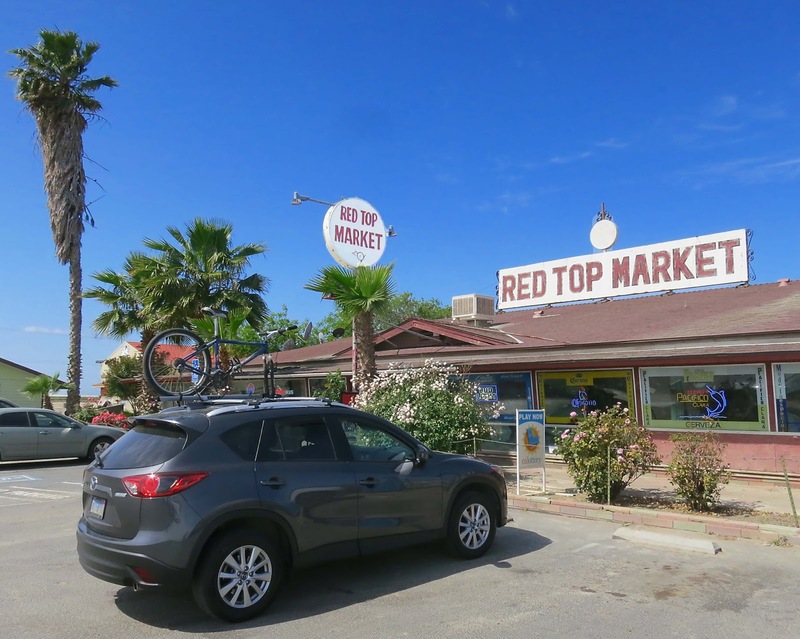 Legend has it the original owner of the Red Top Market named the place after his auburn-haired bride. True or not, one thing's for sure--the guy was an avid sport fisherman. 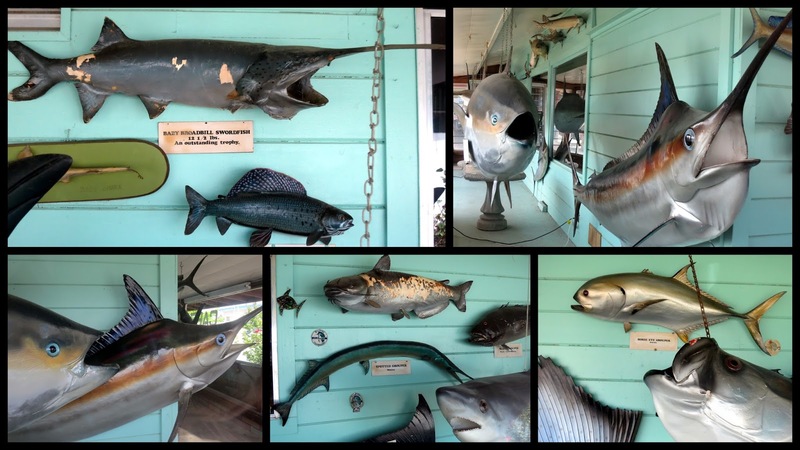 His trophies are displayed on a wall-o-fish that wraps around the side of the building. The market has changed hands several times over the years and the stuffed fish have seen better days. Should visitors find themselves inspired to angle after seeing the dusty collection, there's a nice selection of mini and large crawlers and jumbo redworms available in a refrigerated case in the back of the store. So, no one knew what to do with those fish when the guy passed away. Couldn't just throw them away, of course, but no one in the family, and no close friends, wanted them either. So, hey, just sell them with the store. Some of them are noticeably motley. And, some of them are also just free hanging, it appears. Which seems a bit of an odd choice, especially in an outdoor location. Cuz, wouldn't significant wind cause those to bang on the walls and get beat up?